My firm was established by Arthur W. Taylor (UC Berkeley roommate of U.S. Supreme Court Chief Justice Earl Warren) who passed the bar in 1931 and was a small town general practitioner until his death in 1981. Mr. Taylor's practice was primarily probate, but occasionally he would help in a landlord dispute or a breach of contract. Sometimes his payments for services were a flat of strawberries or a box of oranges. In 1978, John Scoles joined the firm and worked with Art until Art's death in 1981. I met John in 1988 when he hired me as part-time office assistant. We currently have 2 attorneys, one office manager, one paralegal and one German Shepherd named Brando. Our practice areas include real estate, business law, and all aspects of estate planning and administration. Example cases Estate Planning: A couple hears about "living trusts" from their neighbor and they want to know what that is and if they need one. I will educate them on the effects of title on how their assets will be distributed on their death. I will explain to them the probate process and compare it to the trust process. I will explain the effect of advanced health care directives and durable powers of attorney. Probate: A son calls me and tells me that his mother passed away and what does he do with her house. I meet with the son and explain the process of administering the estate. I explain the time-lines and the legal requirements. Probate Sales: Son wants to sell his deceased mother's house. I refer to him several real estate agents who are familiar with probate sales to assist him. I explain to him the advantages and disadvantages of court-confirmed sales. I explain how the civil code section on disclosures affects his sale. I tell him about Proposition 58 which established property tax relief for transfers from parents to children. Advanced Health Care Directives: "My wife is going in for surgery tomorrow. She told me that if something goes wrong and she slips into a coma that she does not want heroic measures used to keep her alive." I meet with the couple and give them Advanced Health Care Directives. I explain what they mean and how they are used. I help them fill them out and provide extra copies for their families and doctors. Trusts: A widow wants to make some changes to her trust. I review the trust and advise her on the types of amendments that she can make. Small Estates: Daughter's father has passed away and she wants to close his account at the local bank. I tell her that as long as his estate is under $100,000 that she can have the funds distributed to the beneficiaries as long as forty days have passed and she has a certified copy of his death certificate. I work with the client and the bank to have the money distributed. Trust Mills: A couple comes to me with a huge notebook and a "fill in the blank" type trust that they bought at a seminar in the Valley. I help them understand what it says and means and make sure that it meets their needs and has been adequately funded. Updates and Reviews: Congress is constantly tinkering with the tax laws. It has been a few years since their trust was drafted and the couple wants to make sure that their trust still meets their planning needs. I review the documents and advise. Generally no charge for our initial estate planning meeting and other cases would be decided on a case by case determination. Generally a flat fee for estate planning, depending on complexity of case. Weekdays 8:30 - 5:30. I will work with your schedule when possible. 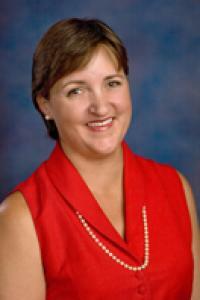 Ms. Bartels is a State Bar Certified Specialist in the area of estate planning and probate. Estate planning chose me. I was working for an attorney and estate planning was a main area of his practice. I became familiar with the laws and have stayed with it. The information available to clients to educate themselves is easily available thanks to the efforts of self-help advocates and companies such as Nolo Press making the legal world more accessible for clients. I support the California State Bar Self-Help superior court centers and web-sites, the availability of on-line judicial council forms and the wealth of information available on the internet. I encourage people to become versed in their legal documents, as a greater understanding creates a higher level of comfort. I am willing to review client prepared documents. I coach legal aid clients in self-help approaches and assist them in representing themselves in court. I am willing to perform this task for qualified clients through the venue of Santa Clara Valley Legal Aid in Fillmore, California. I've worked in my present office since 1988. My duties have included receptionist, office manager, payroll, human resources, and legal research. My experience with legal aid clients and attorneys gives me a passionate understanding of the importance of the foundation of our country - "justice for all." Clients say that I have a calming demeanor which puts them at ease. I am able to explain things to people in terms they can easily understand. I am able to work with clients to determine their needs and explain to them various solutions that they can take. I do not feel compelled by ego to take on cases or get into areas of law that I don't want to be. If you are looking for a shark or aggressive, intimidating courtroom attorney, you should select another advocate. Once devoted to an issue however, I am passionately involved and will vigorously defend what is right. I am an advocate for social justice and my children's educational opportunities. I am a Foo Fighter fanatic and if there are concerts in the area, you can be sure that I will not be in my office. I am also the local president of the George Hincapie Fan Club and can be found on various spots of the Tour of California cheering on my favorite professional national champion bicycle racer. In the month of July I am glued to the Tour de France. I love German Shepherds, old houses, original art, antique maps, and the Oregon coast.